Monte-Carlo rendering algorithms are known for producing highly realistic images, but at a significant computational cost, because they rely on tracing up to trillions of light paths through a scene to simulate physically based light transport. For this reason, a large body of research exists on various techniques for accelerating these costly algorithms. As one of the Monte-Carlo rendering algorithms, PSSMLT (Primary Sample Space Metropolis Light Transport) is widely used nowadays for photorealistic rendering. Unfortunately, the computational cost of PSSMLT is still very high since the space of light paths in high-dimension and up to trillions of paths are typically required in such path space. Recent research on PSSMLT has proposed a variety of optimized methods for single node rendering, however, multi-node rendering for PSSMLT is rarely mentioned due in large part to the complicated mathematical model, complicated physical processes and the irregular memory access patterns, and the imbalanced workload of light-carrying paths. In this paper, we present a highly scalable distributed parallel simulation framework for PSSMLT. Firstly, based on light transport equation, we propose the notion of sub-image with certain property for multi-node rendering and theoretically prove that the whole set of sub-images can be combined to produce the final image; Then we further propose a sub-image based assignment partitioning algorithm for multi-node rendering since the traditional demand-driven assignment partitioning algorithm doesn’t work well. 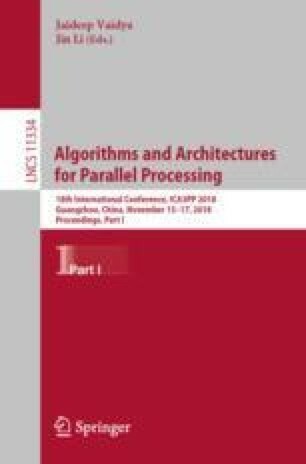 Secondly, we propose a physically based parallel simulation for the PSSMLT algorithm, which is revealed on a parallel computer system in master-worker paradigm. Finally, we discuss the issue of granularity of the assignment partitioning and some optimization strategies for improving overall performance, and then a static/dynamic hybrid scheduling strategy is described. Experiments show that framework has a nearly linear speedup along with the CPU core count up to 9,600 on the Tianhe-2 supercomputer, which suggests that the proposed framework has a high scalability and efficiency. The work is supported by the National Natural Science Foundation of China under Grant No. 61672508, No. 61379048. and the National Key Research and Development Program of China under Grant No. 2017YFB1400902. We thank Benedikt Bitterli  for providing the test scenes used in our evaluation. Further, special acknowledgement goes to Dong Wang, Yuanyuan Wan and Huizhong Lu for answering our technical questions on how to using Tianhe-2 supercomputer. We are particularly grateful to Matt Pharr and Wenzel Jakob et al. for the making the PBRT and Mitsuba renderers publicly available [1, 14].